Regardless of the agency you are submitting your SBIR/STTR proposal to, you must complete some basic registrations prior to submission. 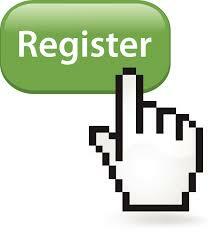 This article is the first in a series providing insights in to the main required registrations. Registrations must be made in this order, as each builds off of the other. Take good notes, carefully recording the way you enter all requested information and make sure you keep the format consistent (for example, “St.” or “Street”). Start early—this takes some time! The first step is to form the company and file its existence with your Secretary of State’s office. In that process, you will be required to establish a Federal tax identification number, also known as an EIN or TIN. The EIN can be requested online and is available immediately. If this is a startup established by a faculty member, do not use university property as the address of the company (a home address is fine). Visit the IRS’s website to request an EIN online. Once the EIN has been issued, save a PDF version of your confirmation and print a hard copy for your files.